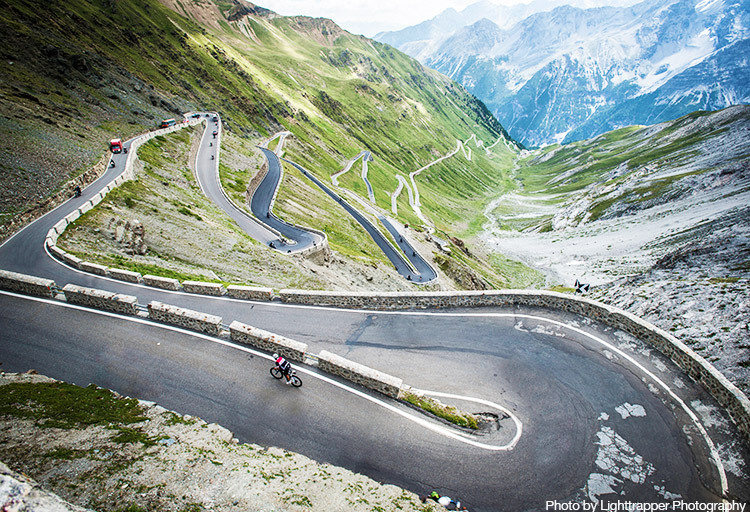 Home Cycling Type A Guide’s Perspective: Why We Love Climbing Mountains! 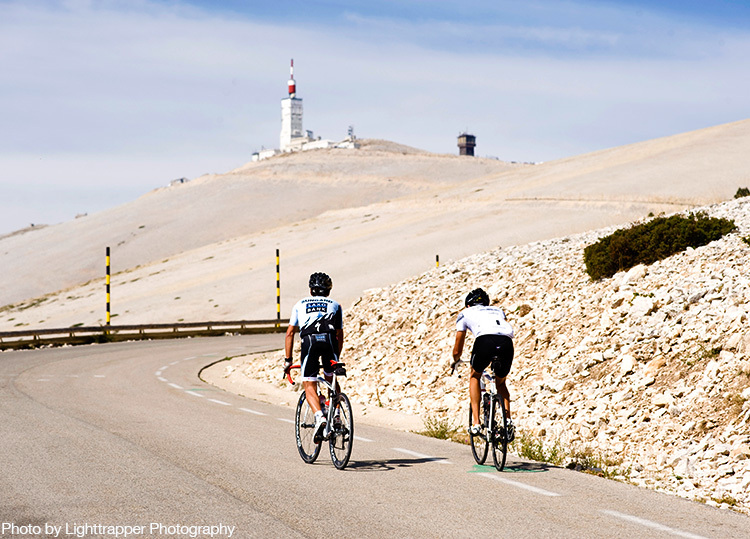 Riding a bike up a mountain, resisting gravity at every turn of the pedal, is not easy. But it is possible, for everyone, no matter how fit a cyclist you are. You might just be cutting your teeth on a gentle diet of one col a day on our Alpine Introduction. Or feasting on a five course banquet of climbing in Colombia as you pit yourself against Alto de Letras, the world’s longest climb, but whatever your level there is a mountain for every rider. 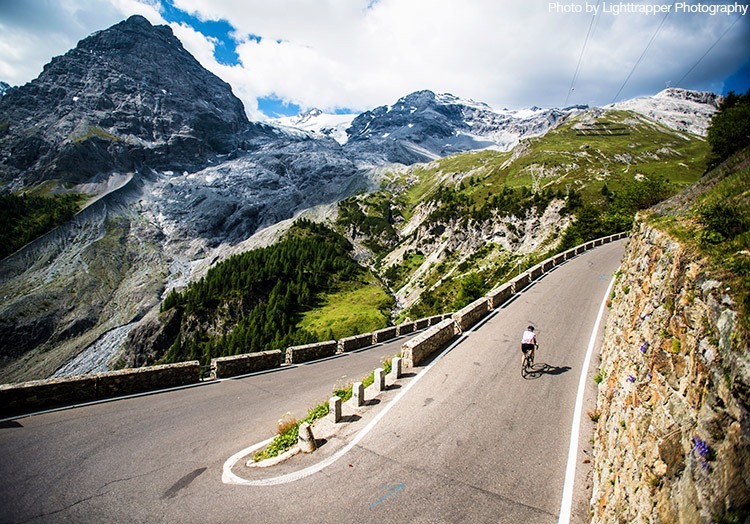 “Why do cyclists want to ride up mountains?” this is a question I am frequently asked, writes Hannah Reynolds, and there are as many answers as there are bike riders. The easiest answer is in the words of George Mallory when asked why he wanted to climb Everest “because it’s there.” When we see a sinuous thin strip of tarmac snaking its way up to a cloud shrouded peak the urge is to follow. Everyone can climb a mountain but, regardless of fitness levels or experience, it is seldom easy. The stronger we are the harder we ride; the desire to accelerate out of every bend, to push over the top of gradient changes, to reach the next corner faster is in every rider. We are chasing sensations as we pedal toward the summit, feeling our way to the red line where hard becomes impossible, careful always to stay the right side of it. The day we become arrogant enough to believe that climbing a mountain is easy is the day we forget to drink or eat enough. A lack of care for the challenge leads to blowing-up; reaching the summit at a crawl, a spent and humbled rider. What makes a climb special? The view, the companionship, the scenery or the challenge? I may have gently climbed a beautiful hill in spring, breathing easily, on a dry day with a light temperate wind, looking around at the view, but I don’t remember it. The days I remember are the ones where the sun was searing hot on my back, where I had to talk to each leg to keep them turning round and where every corner was a choice between stopping and carrying on. Or the days when your body sings; when you can’t hurt your legs, however hard you try, and the sweat pours down and stings your eyes and your breathing comes in deep rasping gasps but every corner you go faster and faster. Like a surfer waiting for the perfect wave, those are the climbs you dream of. But why do it? We gain something every time we reach the summit of a col; a sense of achievement, that we have taken on a challenge and succeeded. That we heard the impulse to stop and resisted. It could be the view, to stand at the top of a pass and look down at the valley and savour the panorama of the mountain-scape around you. It could be fitness; this climb is just another training notch on our way toward a bigger goal. Whatever it is we gain from the experience, we have earned it the only way possible, through physical exertion and the mental will power to keep pedaling inexorably upwards. This may seem hyperbolic to some, but as a guide and a rider I have seen people pass through many different emotions on a mountains trip. I have seen bikes and tantrums thrown by grown men and women. The mountain doesn’t care who you are or what you do, it doesn’t care if you get to the top or not, but we do. I listened to a rider swear at me, swear at his bike, swear at the mountain in rotation for two hours solid as we slogged our way up the Col de Madelaine. I have seen the pride in being able to purchase a simple fridge magnet with a col sign on it. We have had tears on trips, many tears. Tears of frustration at how hard it is, tears of relief when it is over and finally tears of joy when the achievement sinks in. Mountains are not every day things and our responses to them are not everyday emotions. Mallory also had a longer answer to why he wanted to climb Everest, but the essence of it is there in every cyclist tackling their own, all be it more minor, mountain. When we climb a mountain, when we sweat and toil, and dig deep in our legs and mind the sensation at the top is euphoric, “If you cannot understand that there is something in man which responds to the challenge of this mountain and goes out to meet it, that the struggle is the struggle of life itself upward and forever upward, then you won’t see why we go. What we get from this adventure is just sheer joy. And joy is, after all, the end of life. We do not live to eat and make money. 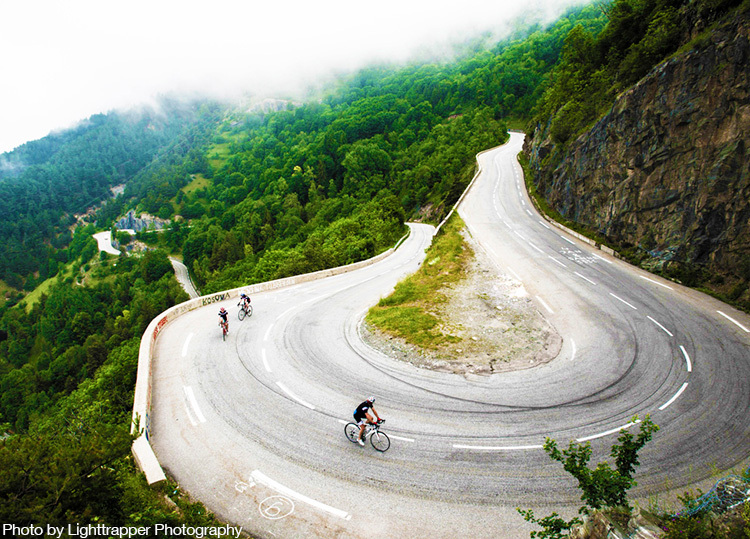 We eat and make money to be able to live.” And that is why cyclists climb mountains, to live. Got your sights set high? 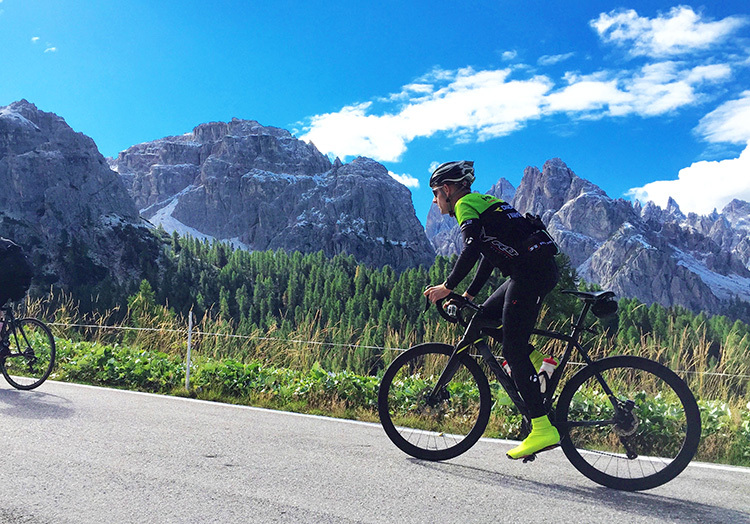 Check out our range of Mountain Challenges and achieve your cycling dreams of conquering iconic mountains from the world of professional cycling.